After the success of last year’s concert tour, it’s returning in 2018 once again – ‘MTV Headbangers Ball’ on tour! 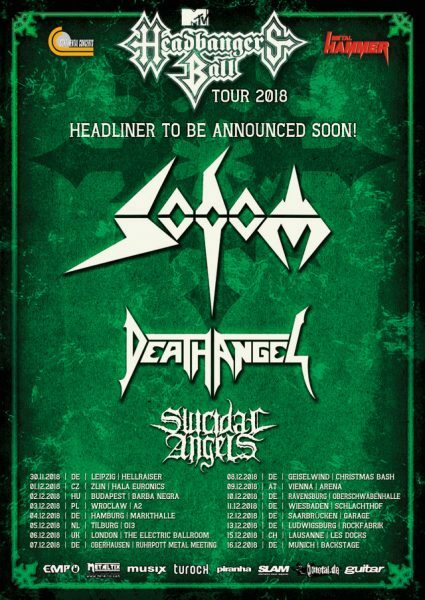 This year the concert reincarnation of the 80’s cult TV show has managed to get SODOM, DEATH ANGEL and SUICIDAL ANGELS on their respective tour buses for a 16 date run – including a show at London’s Electric Ballroom. Newly re-structured German thrash heroes SODOM along with their celebrated metal veteran Tom Angelripper, recently achieved in setting Rock Hard Festival ablaze! It was the very first time the band have performed with two guitarists on stage. 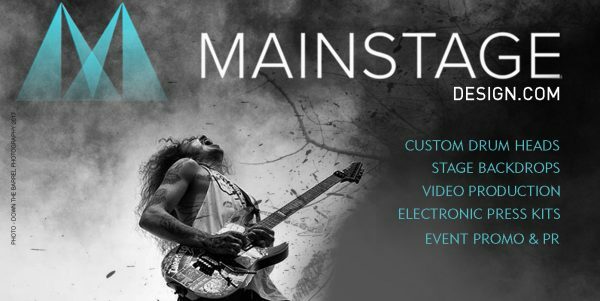 Fans can expect a highly entertaining show later this year with a special setlist. 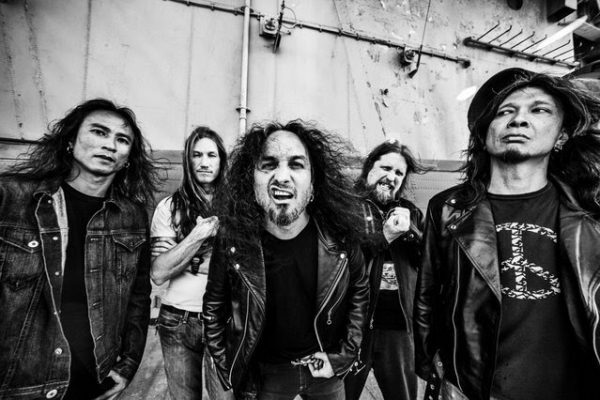 US thrash metal act DEATH ANGEL will also come along to present their stirring thrash metal anthems, which they have been playing since the 80s and they are poised – as always – to take no prisoners. The youngest band in the line-up will be Greek underground group SUICIDAL ANGELS, which were later celebrated as the opening act for the mighty SATYRICON. The next headliner will be announced soon, stay tuned! 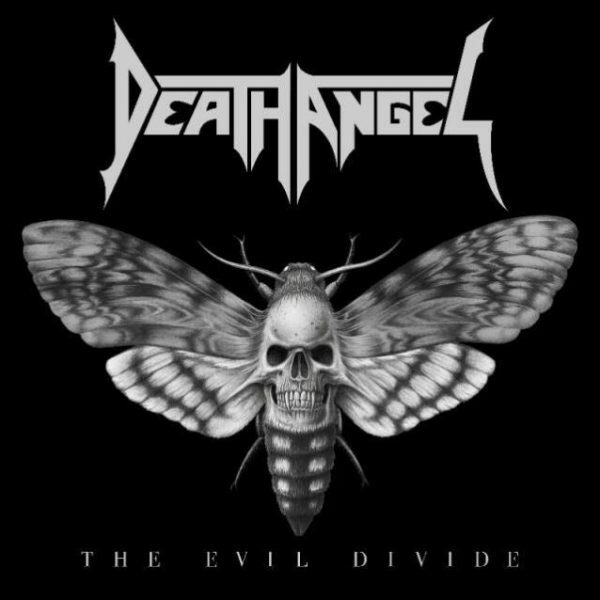 The Evil Divide was released worldwide in 2016 via Nuclear Blast Records. Order your copy here.